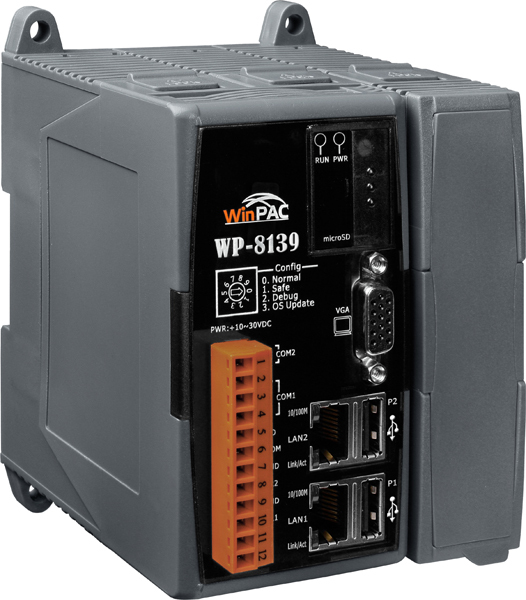 Powered by a PXA270 CPU at 520MHz and Windows CE .NET 5.0 operating system running under the hood, the WinPAC WP-8139 is the second generation Windows CE based InduSoft PAC device of ICP DAS USA. 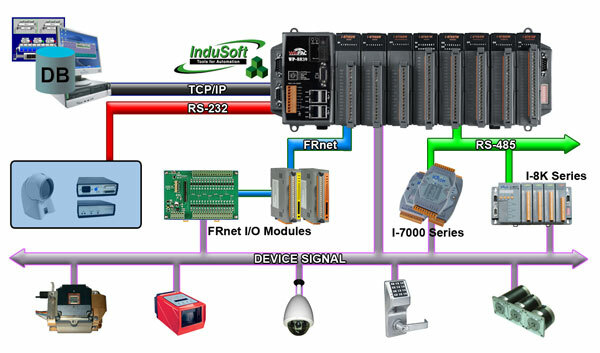 It has multiple connectivity interfaces (VGA, USB, Ethernet, RS-232/485) and 1 single slots fit for high performance parallel I/O modules (high profile I-8K series) and serial-type I/O modules (high profile I-87K I/O modules). Windows CE 5.0 operating is what the WP-8139 is powered by, which offers quite a few advantages, such as hard real-time capability, fast boot speed, small core size, , achievable deterministic control, interrupt handling at a deeper level, and low cost. 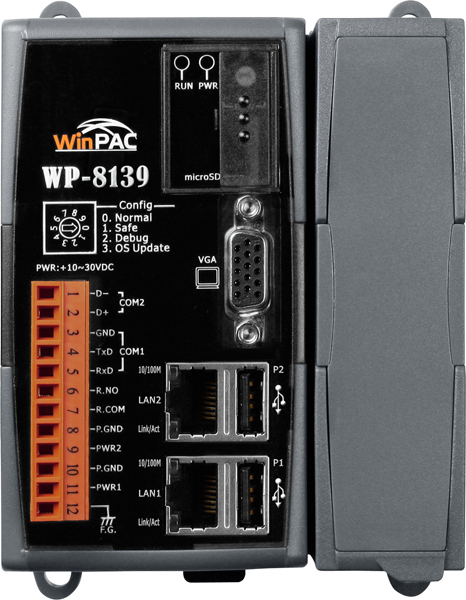 Using Windows CE 5.0 on the WinPAC-8139 gives it the ability to run PC-based Control software such as Visual Basic.NET, Visual C#, Embedded Visual C++, SCADA software, Soft PLC and many other compatible programming languages. 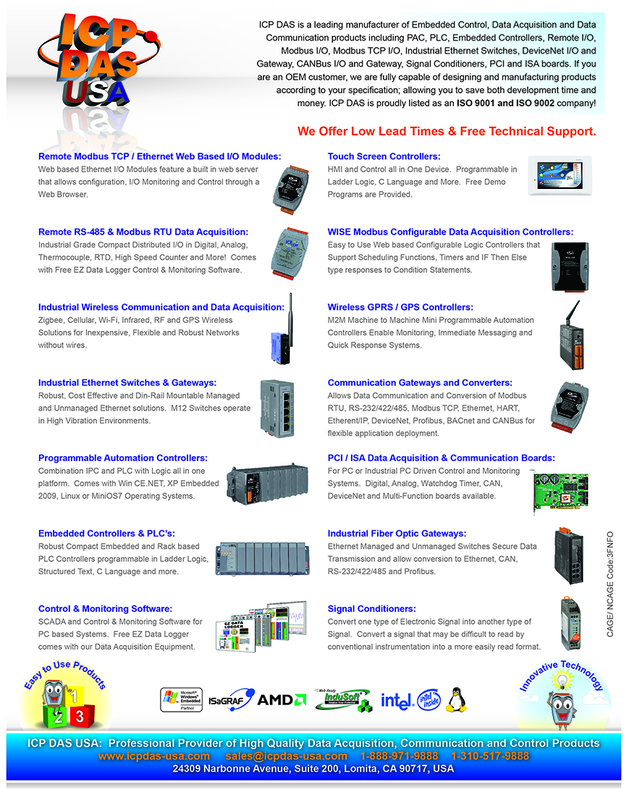 ICP DAS USA has released a package tool for InduSoft. 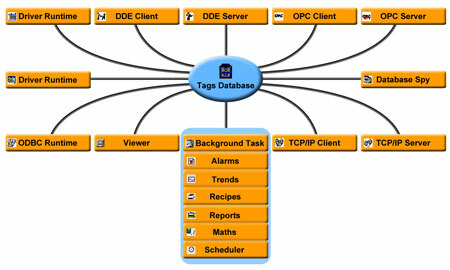 The package tool is integrated with several ActiveX objects and communication tools, including "GSM_ActiveX", "SHM_ActiveX", "COM_ActiveX" and "COM Port Communication Tools". Support Web HMI function, PC running Internet Explorer can access to the WP-8x49 via Local Ethernet or Internet or dial Modem, monitoring and control. WP-8x39: resolution: 1024 x 768, 800 x 600, 640 x 480; with one extra GPU.